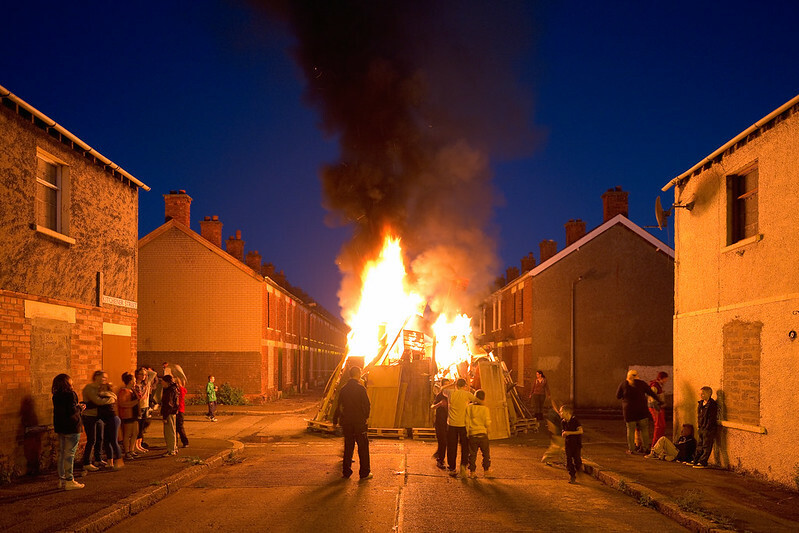 Belfast, Northern Ireland’s Troubles are discussed in the past tense. 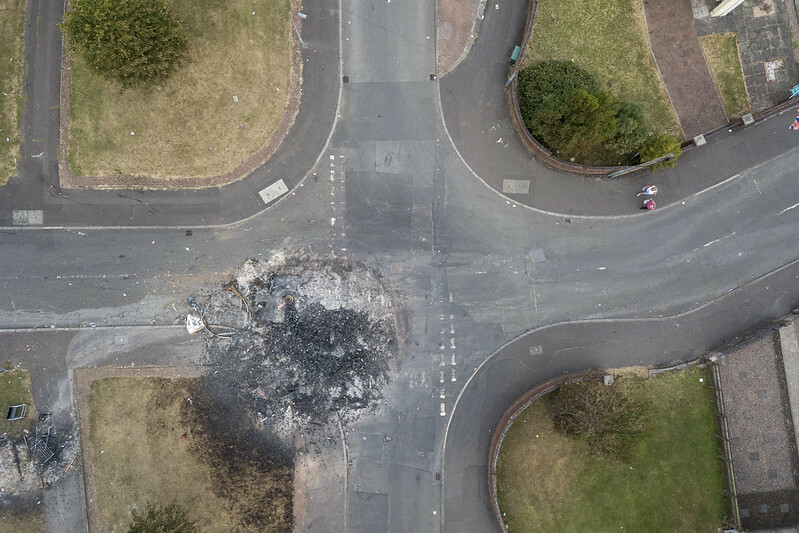 After all, 2018 is the 20th anniversary of the signing of the Good Friday Agreement, and the open war that left more than 3,500 people dead has drawn to a close. 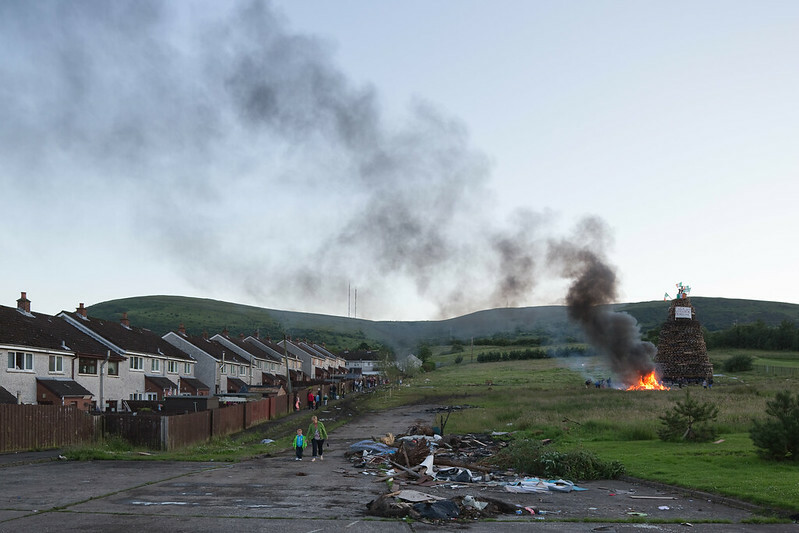 But the peace building process is a long one, and commitment to peace is not universal. 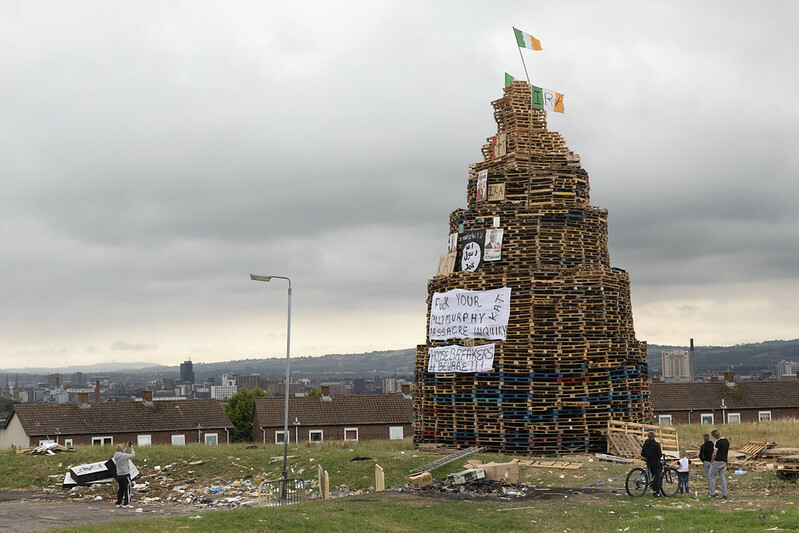 Part of my long-running project in the city has been to understand how the peace process is both supported and undermined through place claiming activities, whether for an anti-sectarian youth soccer program or a Loyalist bonfire complete with an effigy of the Pope. 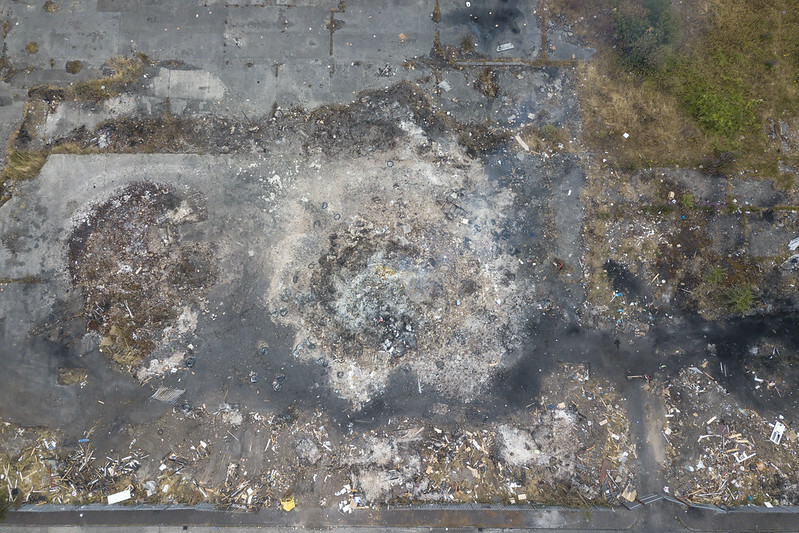 Of course, the city’s infamous murals and peace walls demarcate neighborhoods, but so much of the conflict is more ephemeral. 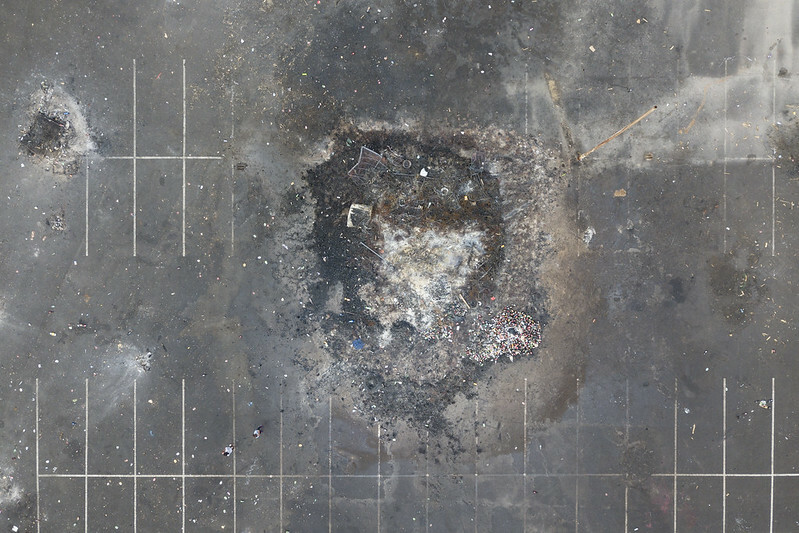 This year I started a new part of the project to explore the duration of these fleeting contributions. 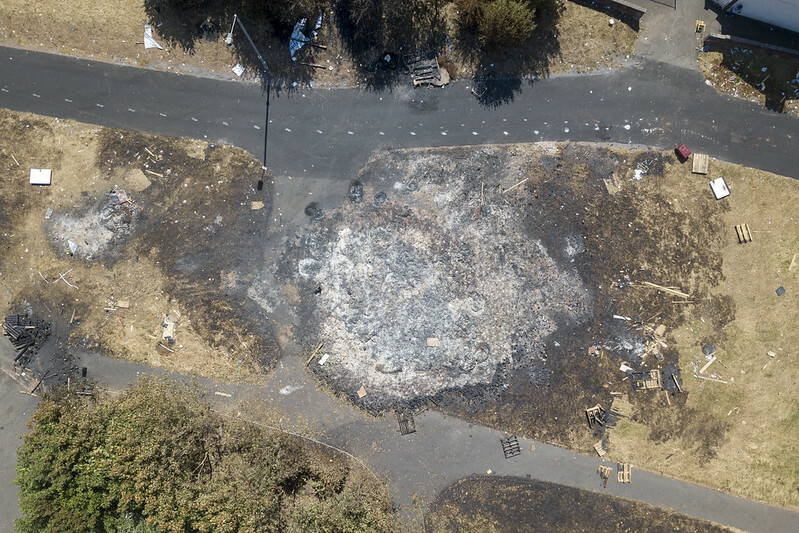 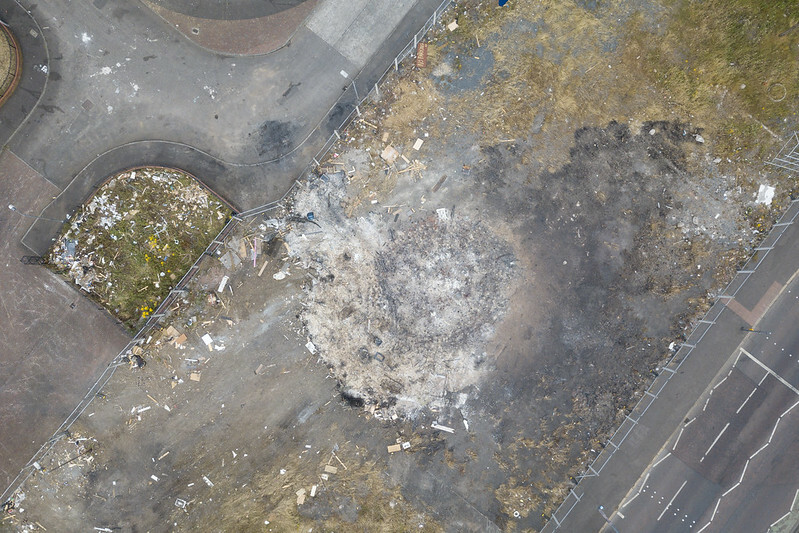 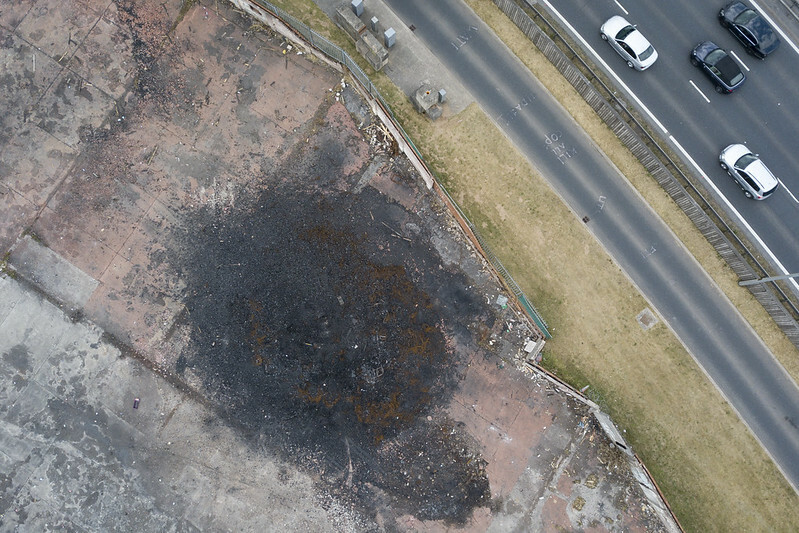 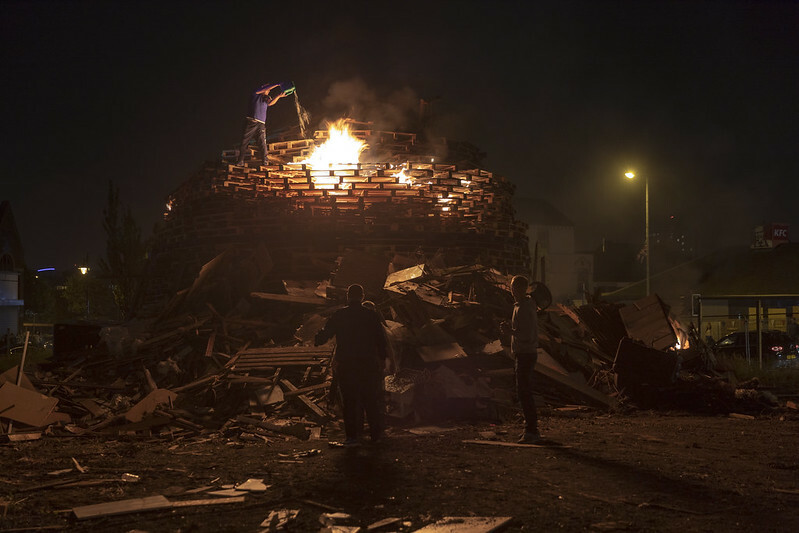 After photographing on Eleventh Night, when loyalists burn massive bonfires to commemorate the 17th century battle that ensured the UK’s contemporary hold over Northern Ireland, I returned to the site of the bonfires a couple of days later to photograph what remained. 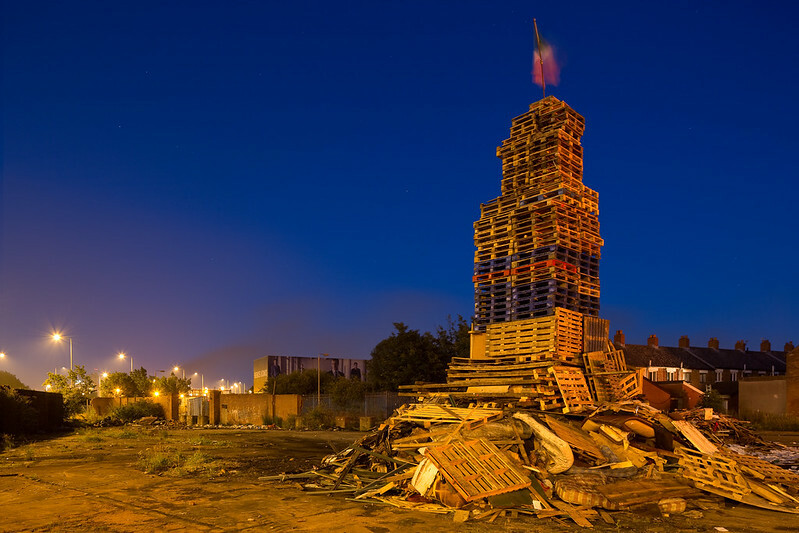 Below I include several 2018 bonfire images for context and then present selections from my new series. 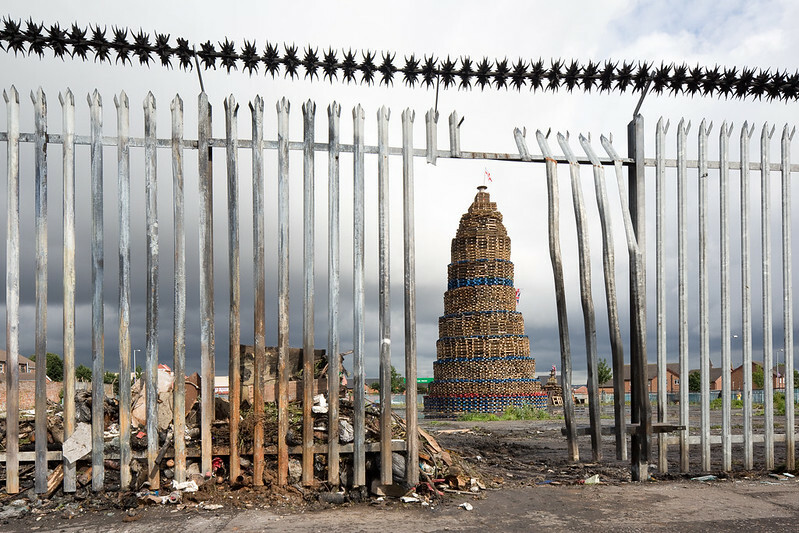 For additional photographs from the project, visit my Belfast, Northern Ireland gallery. 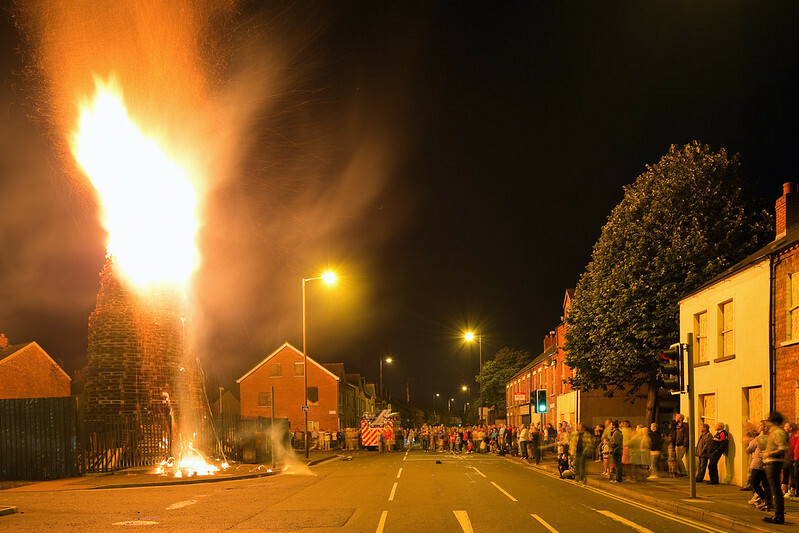 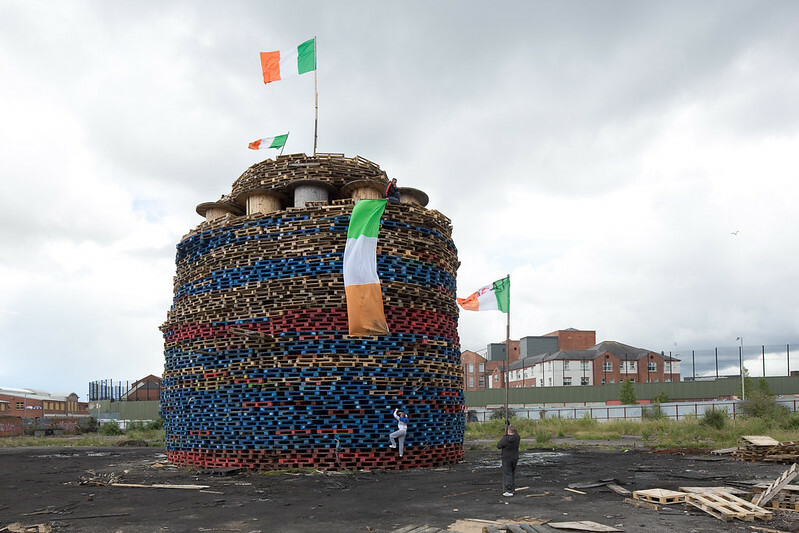 I recently visited Belfast, Northern Ireland to continue documentation of Eleventh Night and The Twelfth, two controversial holidays during which Protestant Loyalists build massive bonfires and parade through city streets. 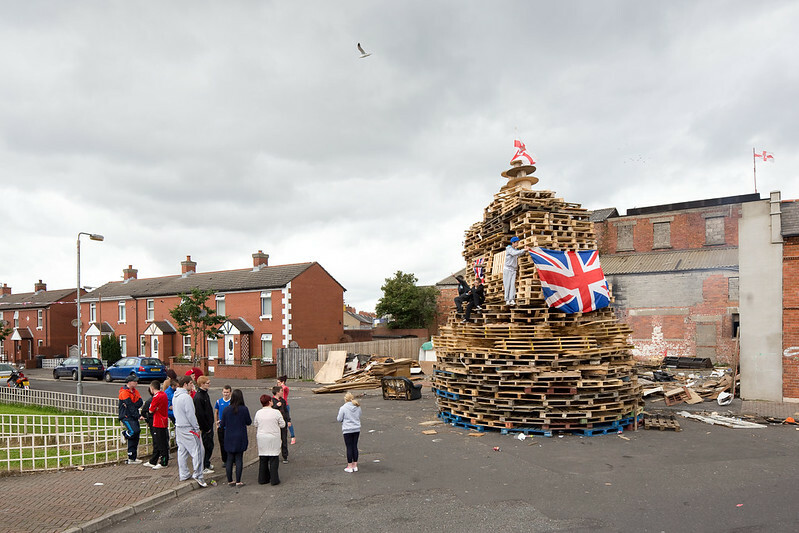 While Loyalists describe the events as “family friendly” cultural activities, doing so ignores their role as expressions of Protestant political power and steadfast support for Northern Ireland’s membership in the United Kingdom. 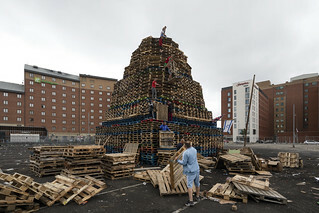 Given Belfast’s ongoing conflict between the Loyalists and the Catholic Republicans who desire a politically united Ireland, the holiday activities operate as claims over the contested city. 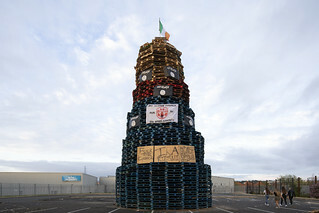 While the political nature of the parades is somewhat buried in historical references on banners and the often unspoken lyrics of flute band songs, the bonfires unambiguously express political perspectives. 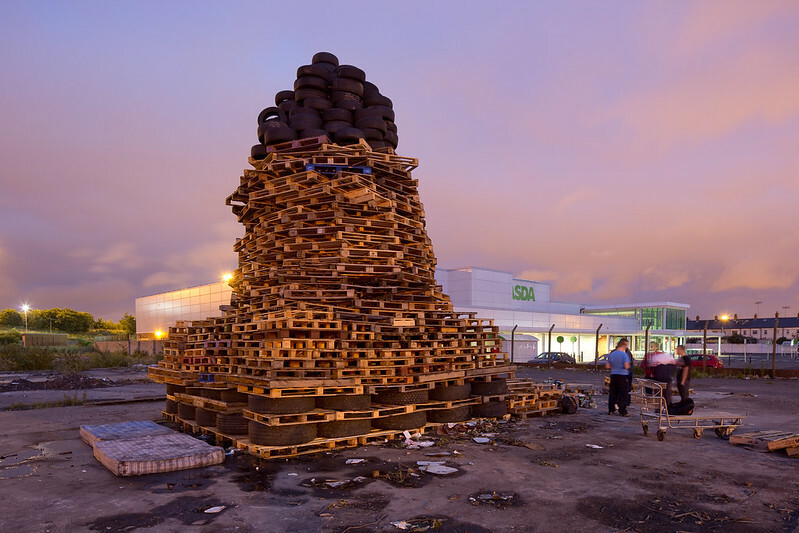 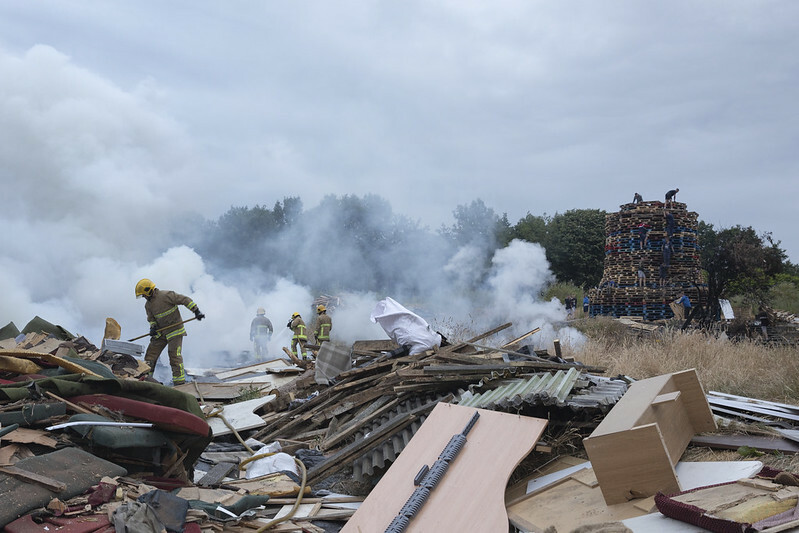 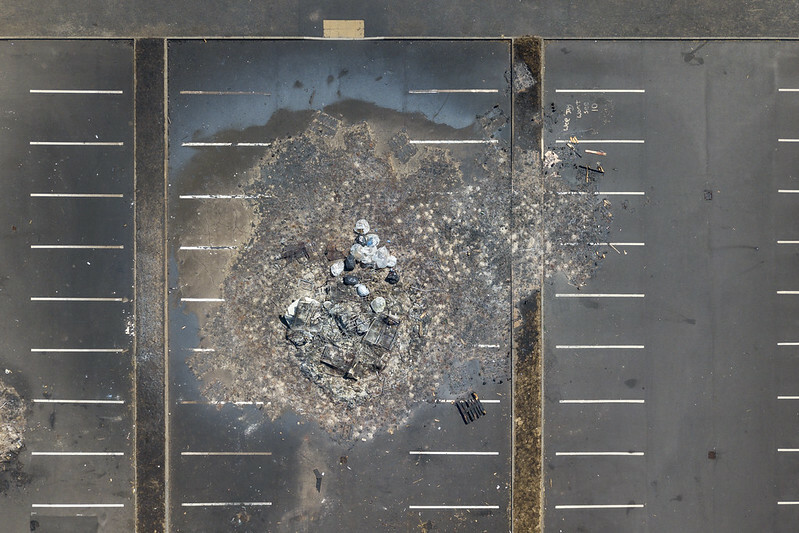 Viewers need not know that the stacked pallet and tire bonfires are references to a 17th century Protestant victory over Catholics to know the political and religious stakes. 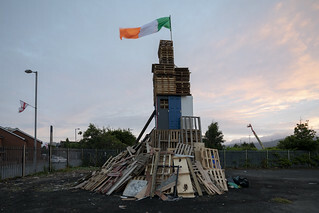 In most communities, political allegiances are boldly proclaimed through flags, whether through the nearly ubiquitous flying of the Union Jack or the burning of the Irish Republic’s Tricolor, as well as through political slogans such as “KAT” (shorthand for “Kill All Taigs” [Derogatory slang for Irish Catholics]) in more aggressive districts. 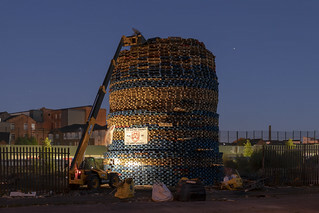 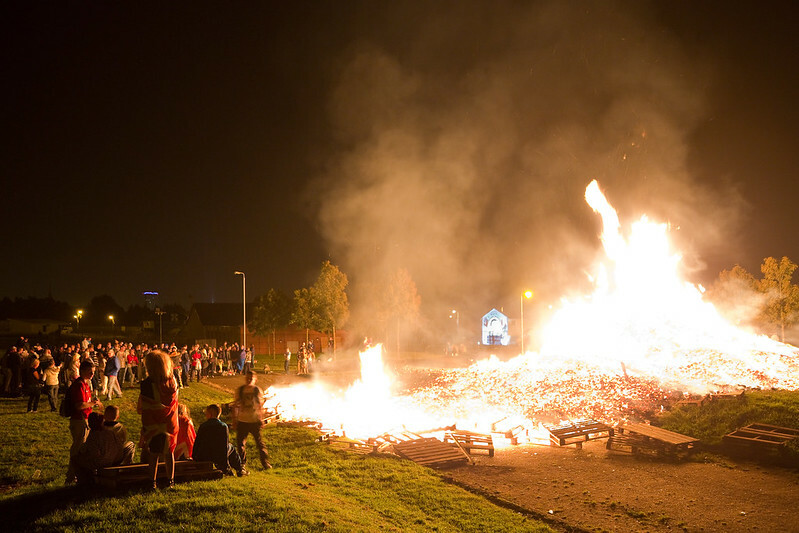 The following bonfire photographs are selections from my recent work in Northern Ireland. 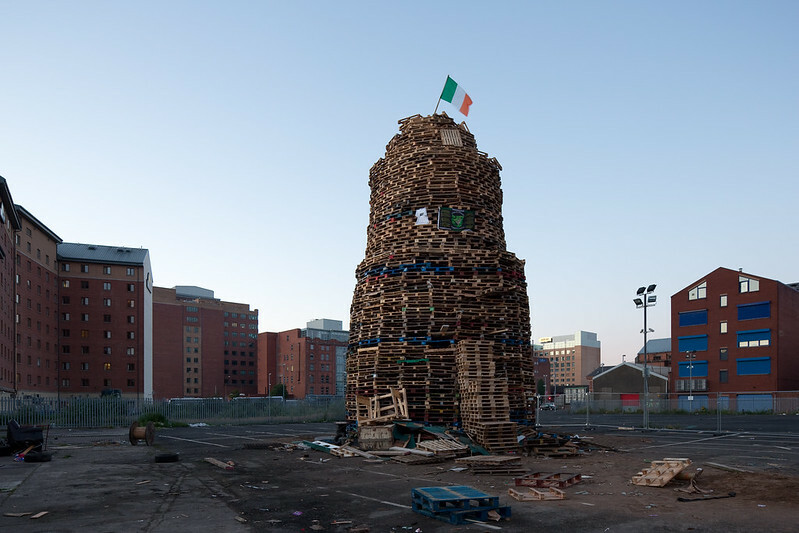 I will be updating my Belfast series page with some of these images shortly. 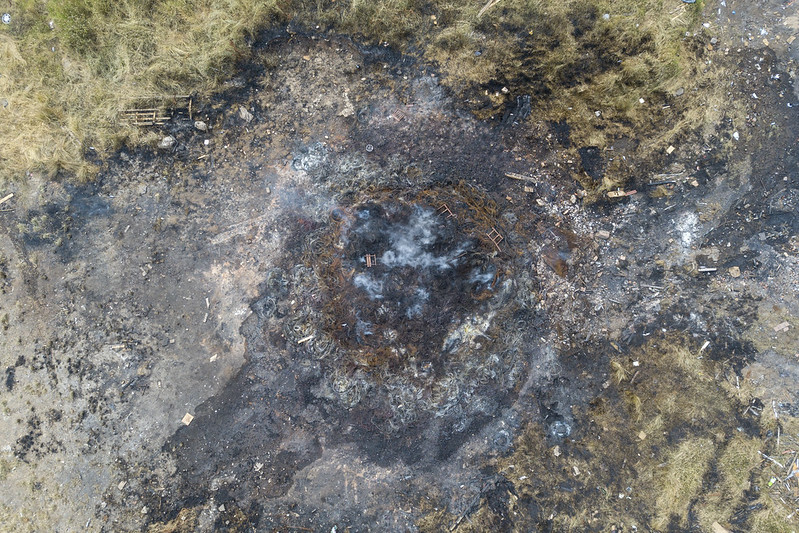 Many additional images may be viewed on flickr.